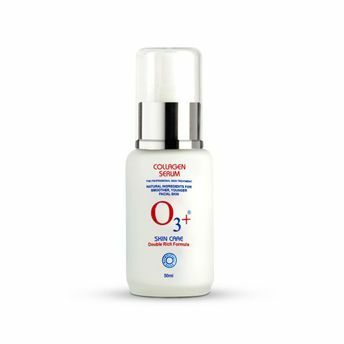 Get an ultimate youth glow with O3+ Collagen Serum that moisturizes, protects and stimulates cell renewal. It reduces the appearance of fine lines and wrinkles, making the skin look young and rejuvenated. It enhances the elasticity of the skin thereby making it look firmer and tighter. O3+ Collagen Serum works on 11 signs of skin aging, making the skin appear healthy and nourished.